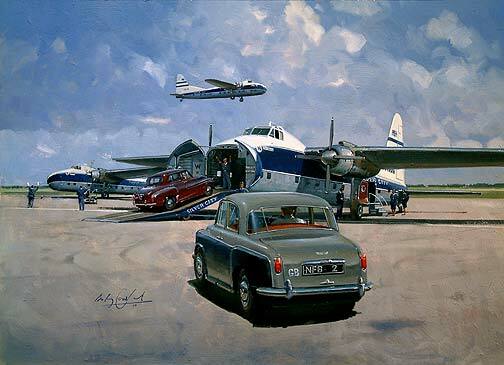 Three Bristol Super Freighters of Silver City loading cars from a bygone period of British Aviation! A rare print of this almost forgotten aircraft. Each are signed by the artist Anthony Cowland G.Av.A The print is 40cm by 29cm As with all our limited edition prints, once they are all sold then the chance to have one is gone.